Firstly, thanks to the responses to the debate, and for everyone’s support. I was a bit disappointed not to hear much from the other end of the spectrum, but the topic remains open if anyone has more to say on the subject. Otherwise, I’ve got two requests on my plate. The first is for Blue in Heaven’s second LP, but I’ll need to rip it from my vinyl copy unless I can track down a better digital source than the one I’ve got kicking around my computer. Stay tuned for that over the next day or so. This second request hails from Australia, and it’s for the Some Bizzare Album, a 1981 compilation from the British independent label of the same name. This comp. announced the label’s launch with twelve tracks of unsigned minimal synth/early new wave artists compiled by label head Stevo Pearce. Of this early crop of artists, few stayed with the budding label, while others prospered under their guidance. As the label progressed, they signed a series of early industrial artists including Cabaret Voltaire, Psychic TV, Einsturzende Neubauten, and Coil. The collection was originally released in 1981. It was pressed to CD in 1992 with a flipped running order: Side B plays before side A on the CD, which is the running order uploaded below. 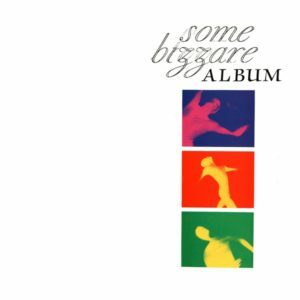 Though the CD is out of print to date, Some Bizzare will be re-releasing and expanding the collection sometime this year, so be sure to nab a copy when it hits the shelves! Otherwise, here’s the compilation details. ~Blancmange: Early new wave act, found some chart success on London Records. Split in 1987, but has since reformed and is rumored to be working on new material. ~Soft Cell: This synth-pop duo should be old hat to the lot of you by now…The track featured on this compilation was almost deleted, cut in half by a studio mishap. 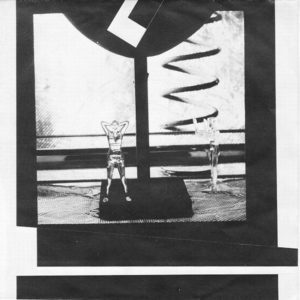 ~Neu Electrikk : Formed in 1978, this more experimental wave outfit has a slim discography (I’ll track it down shortly). Their sax player joined The The for a short period of time. ~Naked Lunch: Short lived wave outfit with three 7” singles under their belt. Formed in 1979, split by 1984. ~The Fast Set: Very first 4AD act, this track is one of three tracks the band released during their short life. The other two can be found here. ~The Loved One: Two man experimental synth project with one 7” and one full length record under their belt. Remastered versions are in the works! ~Illustration: Can’t find a ton of info about these guys…This track seems to be their only release. ~The The: Ever changing critically acclaimed act formed in 1978, and still active to this day. This particular track is a bit darker and more experimental than their successful records to follow. ~B-Movie: This band stuck with Some Bizzare and earned some serious chart success in the UK, but split in 1985. Guitarist Paul Statham joined up with Peter Murphy to record Love Hysteria and Deep. ~Jell: Female fronted act, seems to be a studio collaboration consisting of some regular Clock DVA/Cabaret Voltaire contributors. This is their only release. ~Blah Blah Blah: More of a story set to music than an actual tune. Blah Blah Blah released one 7” in 1979 and one full length LP in 1981.